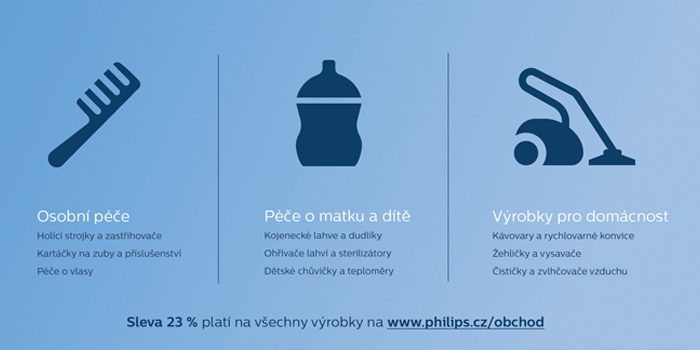 Celebration its 23rd birthday & Launching new e-shop – two milestones for Philips Czech Republic s.r.o. 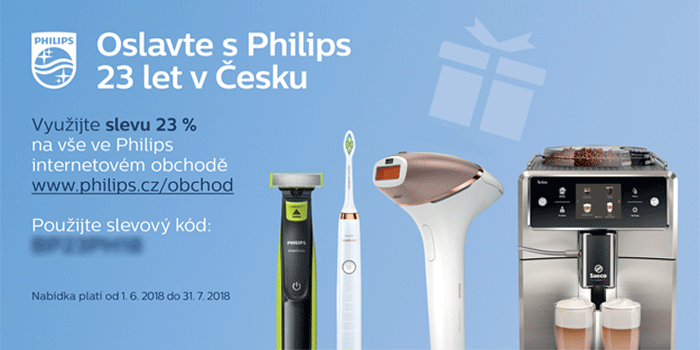 At this occasion Czech brand BALÍK PLUS designed and implemented the campaign in the form of a 23% discount for all products as a gift for its customers. The goal of the pilot campaign was to reach out new customers through a discount voucher and an online banner campaign. Already in the first days after the launching the campaign the results began to appear and when the campaign finished it was evaluated as a very successful. According the campaign results, the client decided to implement it in the other countries as well. No less important goal except the reaching the new customers was the communication and building of the Philips brand in the Czech Republic.